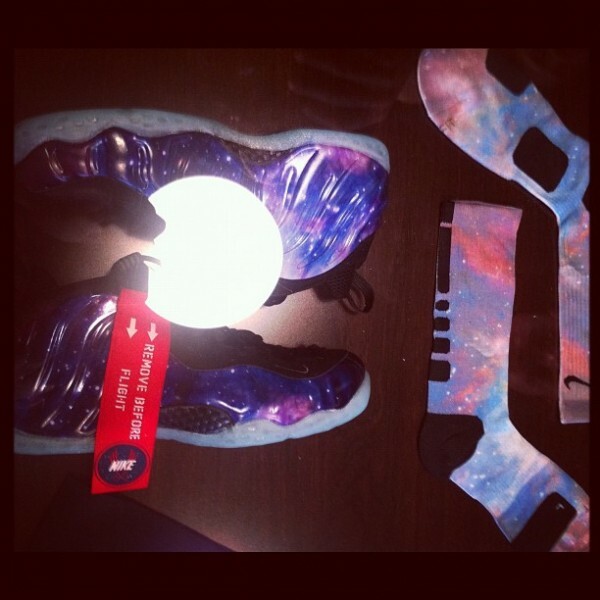 Couldn't get your hands on the "Galaxy" Air Foamposite One? 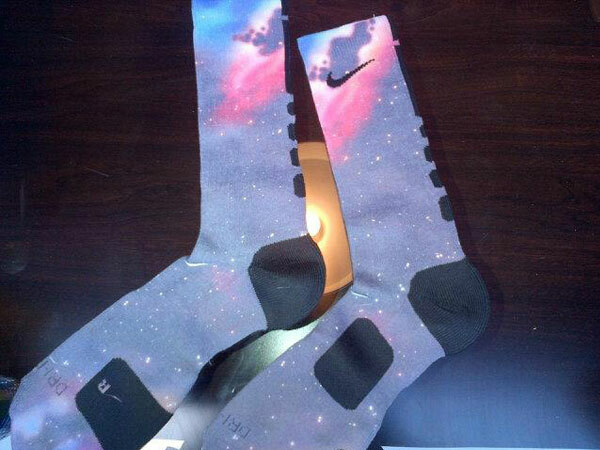 No worries, Nike Basketball has got you covered with the "Galaxy" All-Star Elite crew socks. The popular Elite crew socks possess the same pattern used on the entire "Galaxy" All-Star footwear collection by Nike, providing the perfect match for those actually planning to hit the court in their All-Star footwear pick-ups this weekend. Currently available at select Orlando area retailers for this weekend's NBA All-Star festivities, there is still no word on if the "Galaxy" Elite crew socks will see a wider release. Be sure to stick with Sole Collector for further details.